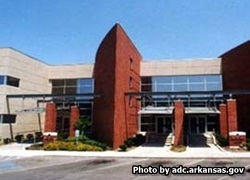 Northwest Arkansas Work Release Center houses approximately 100 minimum security offenders. Inmates at this facility are allowed to work in the surrounding community and report back to the institution at the end of their work shift. They are preparing for their eventual release and are only eligible to be a part of the work release program if they are no more than 42 months from their release or initial parole hearing. An inmate must be class I-A non violent offender to be eligible. Most inmates are not eligible for work release because of the crime they committed, but inmates that are come as close to being free as they can. They work in the real world often in the surrounding communities with minimal supervision from department of corrections personnel. You will need to contact the inmate before you visit because this institution uses a rotating schedule, the visiting days and hours are usually sometime either on Saturday or Sunday from 11:30am-3:30pm.